Past posts have discussed such things as antibiotics, emulsifiers, different foods and diets, heartburn drugs, etc. having an effect on the human microbiome, but what else? A recent study from China reviewed some environmental pollutants and their effects on gut microbiota - as shown in both human and animal studies. They reviewed studies on antibiotics, heavy metals (arsenic, cadmium, lead), persistant organic pollutants or POPs (organochlorine pesticides, polychlorinated biphenyls (PCBs), polybrominated diphenyl ethers, and polycyclic aromatic hydrocarbons or PAHs), pesticides (permethrin, chlorpyrifos, pentachlorophenol, epoxiconazole and carbendazim, imazalil), emulsifiers, nanoparticles (e.g., silver nanoparticles), and artificial sweeteners. They found that all these environmental pollutants had effects on gut microbes - with some effects lasting for years. Their conclusion: gut microbes are very sensitive to drugs, diet, and environmental pollutants. By the way, notice that popular food ingredients such as emulsifiers and artificial sweeteners were considered "environmental pollutants" by the researchers. Environmental pollutants have become an increasingly common health hazard in the last several decades. Recently, a number of studies have demonstrated the profound relationship between gut microbiota and our health. Gut microbiota are very sensitive to drugs, diet, and even environmental pollutants. In this review, we discuss the possible effects of environmental pollutants including antibiotics, heavy metals, persistent organic pollutants, pesticides, nanomaterials, and food additives on gut microbiota and their subsequent effects on health. We emphasize that gut microbiota are also essential for the toxicity evaluation of environmental pollution. In the future, more studies should focus on the relationship between environmental pollution, gut microbiota, and human health. Thousands of species are found in the gut microbiome, and the majority of these species belong to six bacterial phyla: Firmicutes, Bacteroidetes, Actinobacteria, Proteobacteria, Fusobacteria, and Verrucomicrobia (Eckburg et al., 2005). 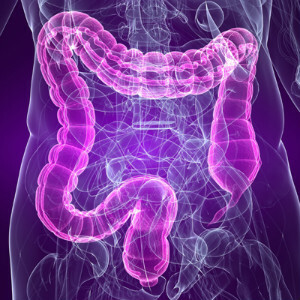 Gut microbiota are highly dynamic and have substantial interindividual and intraindividual variation....The gut microbiota are very essential for host health. They participate in the regulation of many physiological functions. The gut microbiota reside in our intestinal mucus layer and even participate in shaping the mucus layer (Jakobsson et al., 2015). They help us to digest food (such as fiber); synthesize vitamins and amino acids (Spanogiannopoulos et al., 2016); play very important roles in energy metabolism and storage, immune system modulation, growth, and neurodevelopment; and can even regulate our behavior.... The occurrence of many diseases is correlated with altered gut microbiome composition (Lange et al., 2016). Gut microbiota dysbiosis is considered to be a potential cause of obesity (Cani et al., 2007; Fei and Zhao, 2013). However, gut microbiota are very sensitive to drugs, diet, and environmental pollutants. Although most environmental pollutants do not directly target gut microbiota, some pollutants can enter the body and interact with the gut microbiota through different pathways. A number of previous studies have shown that exposure to environmental pollutants can alter the composition of the gut microbiome, leading to disorders of energy metabolism, nutrient absorption, and immune system function or the production of other toxic symptoms (Jin et al., 2015c; Zhang et al., 2015b). In the present review, we conclude that different kinds of environmental pollutants can induce gut microbiota dysbiosis and have multiple potential adverse effects on animal health. Immune system function is tightly coupled to our gut microbiome. Gut microbiota and their metabolites can interact with both the innate immune system and the adaptive immune system (Honda and Littman, 2016; Thaiss et al., 2016).... Alterations in the gut microbiome can disrupt the balance between the host immune system and gut microbiota, induce immune responses, and even trigger some immunological diseases. Furthermore, immune system imbalance may influence the microbiota metabolites. For example, trimethylamine, which is absorbed from food by gut microbiota, can induce atherosclerosis (Chistiakov et al., 2015). I find it ironic that Thanksgiving coincides with American Diabetes Month. In honor of that irony, two recently published studies have suggested a possible link between what you eat, how it impacts the behavior of the microbes living in your gut, and type II diabetes. Results from a study by researchers in Israel, published in the journal Nature in October, have suggested that consumption of artificial sweeteners—found in over 6,000 food products—can lead to changes in the gut microbiome, and have put forth an explanation for how this alteration might be associated with diseases such as type II diabetes. Jotham Suez, a PhD candidate and lead author of the study explains, “We asked people who do not regularly consume artificial sweeteners to add them to their diet for one week, and saw that the majority of these subjects had poorer glycemic responses.”And like humans, mice that were given saccharin-spiked water also developed marked glucose intolerance compared to mice drinking sugar water, or water alone. Their experiment revealed that mice did exhibit different microbiome profiles after consuming artificial sweeteners, just as with the human volunteers who had developed glucose intolerance. And importantly, the humans who did not show glucose intolerance after consuming artificial sweeteners also did not see changes in the community composition of their microbiome. Consequently, this change in microbial community in mice also modified how the microbiota functioned as a group to regulate metabolism. Pathways that impact the transport of sugar in the body were found to have decreased function after saccharin treatment and, notably, there was an increased abundance of short-chain fatty acids (SCFAs), which are implicated in lipid biosynthesis. An investigation done by an independent group of researchers in Canada found similar results in a study published in October in the journal PLoS ONE. Although conducted using rats instead of mice, and with a different artificial sweetener (aspartame instead of saccharin) this study also found an increased risk of glucose intolerance. In addition, both studies showed that propionate—a SCFA highly involved in sugar production—is increased in animals consuming artificial sweeteners (although, unfortunately, propionate concentrations in humans weren’t assessed in the Nature study). But the take home point is this: findings from two independent studies suggest that messing with the microbiome may have despicable consequences. Artificial sweeteners were originally intended to stave off the increasing obesity and metabolic disease epidemic, but instead they may have directly contributed to it. In other words, consuming artificial sweeteners appears to throw metabolism out of whack by upsetting the critical balance of the biota in the gut—just as how chaos would surely ensue if you were to throw Gru’s minions out of whack. 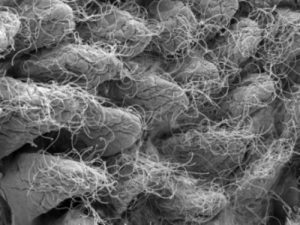 Artificial sweeteners -- promoted as aids to weight loss and diabetes prevention -- could actually hasten the development of glucose intolerance and metabolic disease, and they do so in a surprising way: by changing the composition and function of the gut microbiota -- the substantial population of bacteria residing in our intestines. These findings, the results of experiments in mice and humans, ...says that the widespread use of artificial sweeteners in drinks and food, among other things, may be contributing to the obesity and diabetes epidemic that is sweeping much of the world. The researchers treated mice with antibiotics to eradicate many of their gut bacteria; this resulted in a full reversal of the artificial sweeteners' effects on glucose metabolism. Next, they transferred the microbiota from mice that consumed artificial sweeteners to "germ-free," or sterile, mice -- resulting in a complete transmission of the glucose intolerance into the recipient mice. This, in itself, was conclusive proof that changes to the gut bacteria are directly responsible for the harmful effects to their host's metabolism.... A detailed characterization of the microbiota in these mice revealed profound changes to their bacterial populations, including new microbial functions that are known to infer a propensity to obesity, diabetes, and complications of these problems in both mice and humans. The findings showed that many -- but not all -- of the volunteers had begun to develop glucose intolerance after just one week of artificial sweetener consumption. The composition of their gut microbiota explained the difference: the researchers discovered two different populations of human gut bacteria -- one that induced glucose intolerance when exposed to the sweeteners, and one that had no effect either way. Dr. Elinav believes that certain bacteria in the guts of those who developed glucose intolerance reacted to the chemical sweeteners by secreting substances that then provoked an inflammatory response similar to sugar overdose, promoting changes in the body's ability to utilize sugar.